A pub where George Orwell used to drink and is widely assumed to be the setting for the proles pub in his dystopian novel Nineteen Eighty-Four has been bought by West End property owners Shaftesbury plc who say they will continue to operate it as a public house. 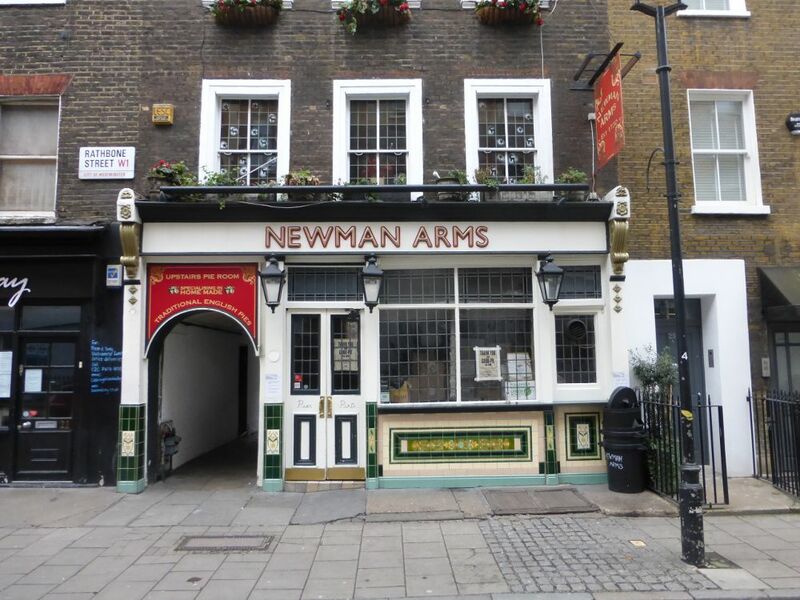 The Newman Arms, 23 Rathbone Street, was the setting for the proles pub in George Orwell’s dystopian novel Nineteen Eighty-Four. The pub has been closed since the beginning of the year and confirmation of the sale to Shaftesbury puts an end to local rumours that it was going to be converted into a private club. A spokesperson for Shaftesbury told Fitzrovia News: “The Newman Arms — with its famous homemade pies — was a highly regarded traditional pub. However, the owner Mrs Bird decided she wanted to relocate to another part of London and therefore needed to sell it in order to facilitate her move. We’re delighted to have purchased it to add to our growing Charlotte Street holding; an area we love for its dynamic mix of great restaurants, bars and cafes. Davis Coffer Lyons completed the sale of the pub which had been jointly marketed with Savills. According to the Land Registry the pub was bought from Punch Taverns on 21 August 2009 for £800,000 plus £108,000 VAT. Prior to 2009 Bird had run the pub as a tenant. After she bought the freehold she refurbished the living quarters of the building and created a roof terrace which has views over the neighbourhood. 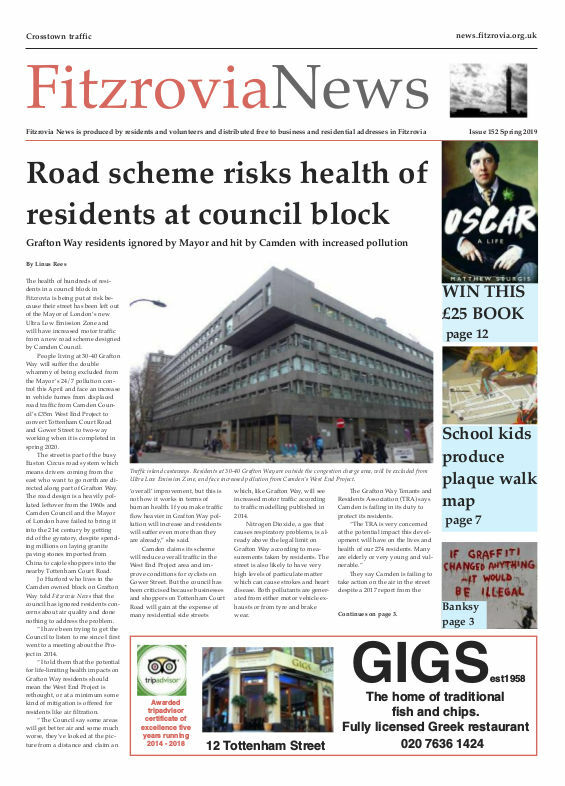 Fitzrovia News does not know how much Shaftesbury paid for it but marketing material in July 2014 said: “Offers are invited in the region of £4,000,000”. On new year’s eve 2014 Tracey and Amber served their last drinks at the local landmark and news of the pub’s closure was met with sadness and rumours quickly spread about the much-loved watering hole becoming a members only and exclusive club. The mother and daughter team of Tracey and Amber were colourful characters during there time at the Newman Arms and famously clashed with some local residents and Westminster City Council who suggested they serve drinks more slowly. A notice on the window of the Newman Arms and on its website says that Tracey and Amber are opening a new pub in February called “The Fox Jumps Over the Pie”. Their new venture was previously a wine bar known as The Fox Reformed and is at 176 Stoke Newington Church Street in north London. The Newman features on many guided walks through the neighbourhood because author George Orwell drank there just after the war and used it as the model for the proles pub in his novel Nineteen Eighty-Four, published in 1949. The pub appears in the background of the 1960 film Peeping Tom which was filmed mainly in a studio overlooking Newman Passage, and a poster advertising it is in the bar. The opening sequence from the ITV programme Minder which ran from 1979 to 1994 was also shot in Newman Passage (when it had a bent lamp post) alongside the pub. It is also the pub where in 1973 Eric Singer a German immigrant overhead a conversation about arranging a street festival in the neighbourhood. Singer turned to Ron Gauld who was organising the festival and suggested to him that the festival should be called the Fitzrovia Festival. At the time the name Fitzrovia was not commonplace but Singer had recalled its use from the 1940s. It is not listed as a pub in post office street directories before 1949, previously being a beer retailer and known as the “beer shop” as it had no spirits licence. The pub states the building was established in 1730 and it became a tavern in 1860.